The Ministry of Public Health has launched an investigation into the death of woman at the Diamond Diagnostic Centre on Tuesday, following a suspected miscarriage the previous week. A mother of four, 39-year-old Carol Suniram was pronounced died after carrying a dead foetus inside her womb for five days. Speaking with Stabroek News, Suniram’s mother Bibi Beharry said that prior to her daughter finding out that her baby had died, she underwent an ultrasound and was told there was no heartbeat nor were any movements detected. Beharry said her daughter was surprised by the ultrasound result and she took same to a doctor at the hospital who told her that the baby had died in her womb. Beharry further claimed that the doctor wrote a prescription for tablets, which he gave to Suniram, telling her that she should use them to aid in expelling the dead foetus. She said her daughter consumed the tablets, but nothing happened and she returned to the hospital the next day to consult with the doctor. She claimed that the doctor gave her daughter additional tablets to consume and told her to return to the hospital on Tuesday or as soon as she felt any movement of the foetus, for a certain procedure to be performed. Beharry said that although her daughter had some reservations about having to undergo the procedure, she expressed confidence in the doctor and had even prayed shortly before the procedure was carried out. “Yesterday morning [Tuesday], I went with her to the hospital and she went in the room to do a blood test. When she came out back she turn to me and said, ‘mommy, ah ready to go in,’” the grieving mother said. She did not see her daughter alive again, as the doctor subsequently informed her that Suniram had suffered heart failure and died. Meanwhile, Dhanraj Beharry, Suniram’s father, said that the last time he saw his daughter was last Wednesday when he paid her a visit at her Cinema Street, Diamond home. He explained that it was during that visit that his daughter told him she had undergone an ultrasound and was told that the 18-week-old foetus had died in her womb. Dhanraj Beharry said he questioned his daughter about seeking treatment to have the foetus removed from her body, and Suniram explained that she had already visited the Diamond Hospital and was prescribed pills by a doctor. He said that while he was not at the hospital at the time of his daughter’s passing, he had received a call from his wife, who was at the hospital, saying that Suniram had a heart complication and had to be transferred to the Georgetown Public Hospital. The man said he decided to wait until he heard the ambulance pass before heading to the city hospital. However, after sometime had passed and he had heard no ambulance, he decided to go to the Diamond hospital. “When I come here, my wife crying and come to me and said ‘Dhanraj, Carol is no more,’” the man related. 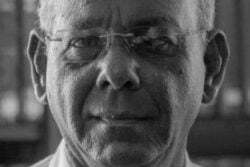 Stabroek News made attempts to obtain additional details and was able to confirm that Suniram had suffered heart failure. 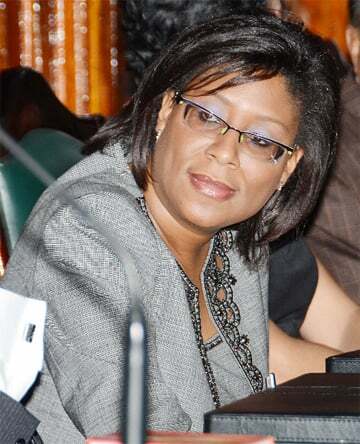 Public Health Minister Dr George Norton, when contacted, said the ministry has begun probing the circumstances surrounding the woman’s death and is currently awaiting the results of the post-mortem examination. Norton said the incident would be treated with high priority. Suniram also leaves to mourn her husband and four sons aged 20, 19, 18 and 9 years old.